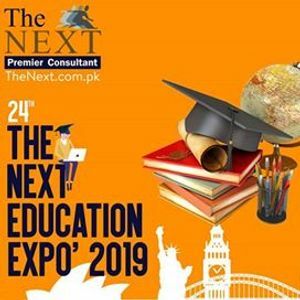 Gear Up Karachiites, 24th The Next Education Expo’ 2019 is here on Saturday 6th April, 2019. -Get detailed guidance about your admission options in Top-Ranked Universities of the world including Australia, Sweden, Canada, New Zealand, Germany, Ireland, USA, UK, Malaysia. -Meet the University officials for professional advice and expert admission assessment along with visa assistance. -Bring Educational docs for on-spot admission assessment. Visit us @ Pearl Continental Hotel, Karachi on Saturday 6th April, 2019 between 11 AM to 7 PM.